The UK video sector grew by 10% in 2018 taking the total market value to £2.34 billion, according to the British Association for Screen Entertainment (BASE). The BASE figures, based on data from the Official Charts Company and Futuresource Consulting, indicate that 63% of consumers now choose to rent or stream film and TV content, while 37% of category value generated by people choosing to buy and own content either on disc or download. Despite what BASE described as a “challenging broader high street trading environment,” 59% of transactional spend was still for the physical formats of DVD, Blu-ray and 4K UHD Blu-ray discs. The growth of digital transactional also “surpassed all expectations in 2018,” reaching a total market value of £400 million. Electronic sell-through film sales grew 36% year-on-year with The Greatest Showman establishing itself as the largest digital release to date, selling in excess of 770,000 digital copies since April. 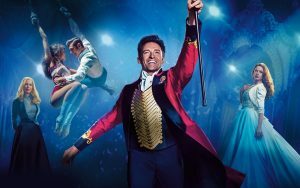 Overall, The Greatest Showman was the biggest-selling title of the year, shifting in excess of 2.68 million copies, with 72% of those sales coming from physical formats. Game of Thrones led the 2018 TV charts, with The Complete Seventh Season selling more than 160,000 copies, including box sets, to top the disc chart. Overall franchise sales totalled more than a quarter of a million copies, according to BASE. “The UK transactional digital video exceeded expectations in 2018, cementing its position as a global leader in this sector,” said Futuresource Consulting’s principal analyst for entertainment, David Sidebottom.